Two days ago, September 2nd, MAC Cosmetics released the news that it is working on a Rocky Horror Picture Show inspired makeup line! Since we found out, we’ve been shivering with antici-pation. Seriously, who would say no to a line inspired by our favorite characters from the cult classic? The line will include lipsticks, lip liners, glitter and pigment, eyeshadow palette, eye liners, eyelashes and many more sweet items! 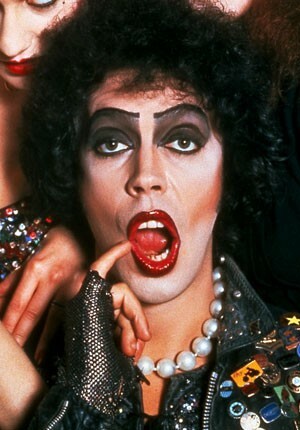 This all comes as wonderful news as the Rocky Horror Picture Show’s 40th Anniversary approaches. The film, written by Richard O’Brien and starring Tim Curry, Susan Sarandon, Barry Bostwick and Meatloaf is based on a play with the same title, which is still being performed. We can’t wait to get all dolled up and do the Time Warp!